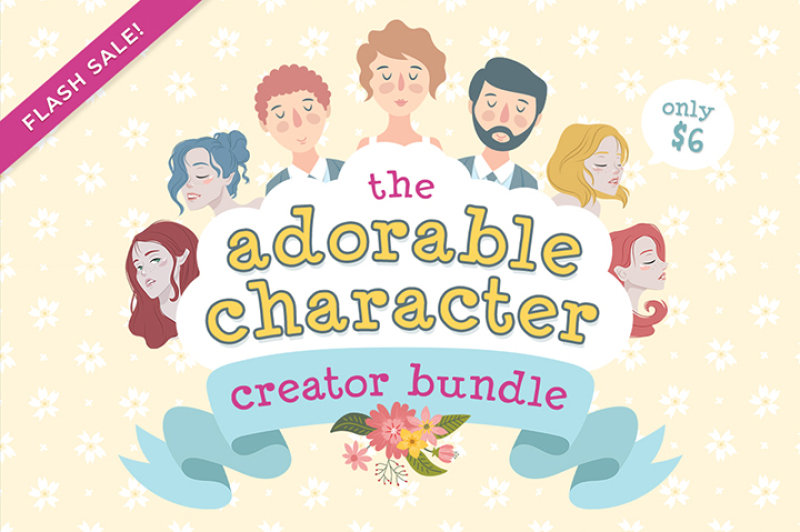 This time we wanted to give you a beautiful collection of Cute Character Creators that comes with a total of 1,945 elements from 9 graphics packs. 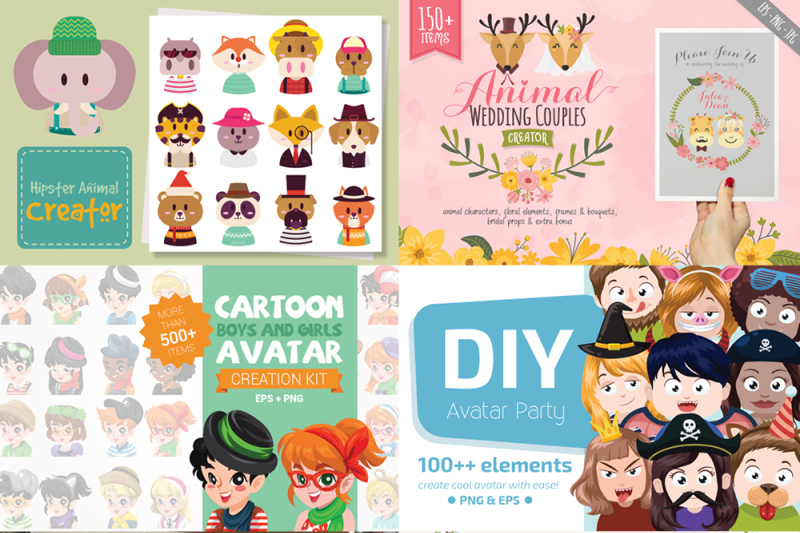 In these packs you will find a ton of facial expressions and emotions, animal character creators, wedding creators, wedding props and much more! Usually priced at $117, but this week only you can get it for just $6! That’s a very low price compared to what you get! Note: Some of these graphics were included in previous bundles, so make sure you don’t get them for the second time.